According to Wikipedia: “Net neutrality is the principle that Internet service providers must treat all data on the Internet the same, and not discriminate or charge differently by user, content, website, platform, application, type of attached equipment, or method of communication. For instance, under these principles, internet service providers are unable to intentionally block, slow down or charge money for specific websites and online content.” Ask most people and they would say net neutrality is a good thing and the recent decision by the USA “Federal Communications Commission (FCC) in Washington, the watchdog’s commissioners voted three to two to dismantle the “net neutrality” rules that prevent internet service providers (ISPs) from charging websites more for delivering certain services or blocking others should they, for example, compete with services the cable company also offers” is a bad thing since it unfairly penalizes the consumer. While I am less of an expert on computing and networking (including the Internet) these days, there was a time it was my stock in trade as I pursued my career as a software engineer, starting from using big computer mainframes where data was input via punched cards and there was no communication outside that which was directly connected to that computer to the situation we see today where a huge amount of the worlds information is accessible to any with a computer device and means to access the Internet. 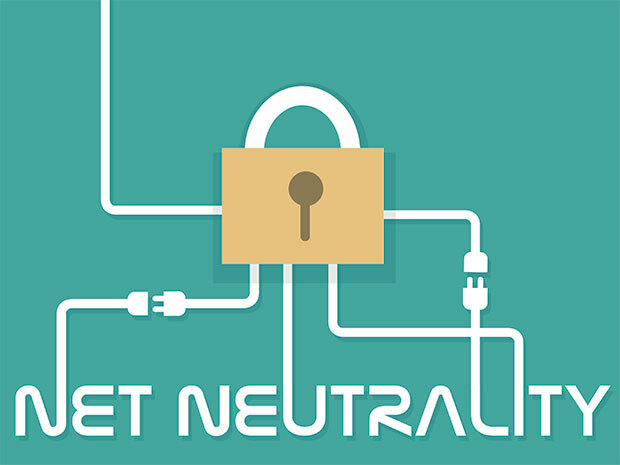 Having now made the transition from being an IT technician to an IT user, I know how important it is to share and access quality and pertinent information via the Internet and the importance of Net Neutrality, even though there is lot out there of dubious merit. The thought some entity, government or other, censoring what I or others put out or receive, because they happen to object, is abhorent. Reading a variety of reports, the consensus seems to be that the FCC decision is a bad thing, but reading reports by, admittedly, right leaning conspiracy theorist types (see here, here and here) has reinforced my reticence when questioning this decision. After all the net neutrality rules were introduced under the Obama administration, supported by the likes of big corporations that might benefit and globalist, Soros funded type operations, all of which raises suspicion. The idea of government regulating anything needs looking at, especially when regulating the wrong thing. The likes of Facebook and Google (who also own YouTube) to name but two giant corporations who are effectively monopolies and yet continually censoring those who don’t fall in with the official narrative, while allowing other information to remain posted that is arguably a good deal more insidious, were if anything given more freedom under net neutrality rules and it is they who control how people access the Internet more than any other. An example is preventing some posting information like that which links some criminal activity to Muslims. A further example was Twitter chief admitting as much when he was quizzed at a Congressional hearing. Regarding the repeal of net neutrality rules, I am not fully decided. Government regulation should be a last rather than first resort. I am a great supporter of open source software and allowing free access to all. Although I am not a huge fan of the free market, my instinct is that which existed before the changes introduced under Obama had led to a better service and greater freedom. Like it or not, services like accessing data by the Internet still need to be paid for and why shouldn’t ISPs benefit, providing they do not become monopolies, rather than those who filter peoples data yet gain by advertising and charging for extra services etc., yet using the infrastructure the ISPs provide. But I wait with interest to see what the effects of these recent changes are. My hope now is that the regulators will go after those who really control access to the Internet and ensure that other than preventing what is clearly harmful, like the propagation of pedophilia, we can all freely access the Internet and give our opinions, however inconvenient it may be to whoever holds the keys.